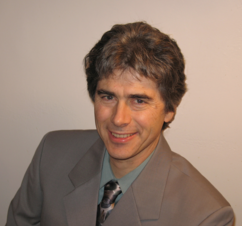 Robert is a jazz pianist, composer, arranger, music analyst and music softare developer. He received his musical education in Italy, attending the Ottorino Respighi Conservatory, in addition to taking private piano and saxophone lessons. He started playing professionally in jazz combos in the UK, while pursuing an Engineering degree at Brookes University, Oxford. He later returned to Italy, and became an established performing artist and music teacher in Rome, Italy. In 2001, Robert moved to New York, where he founded Musilogic, Inc., a company whose mission is to develop innovative music education and composition software. His current interest is exploring how the boundaries of music composition can be expanded through the use of technology.